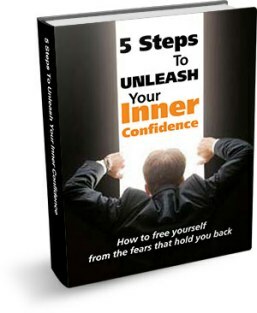 What would you say if I told you that lifting a five-pound weight could help you massively increase your confidence in every area of your life? Does it sound too easy? Are you feeling skeptical? If so, stick around, because today I’m going to share a simple technique for mastering confidence in the areas of your life that matter most to you. Recently, I was working a live event in which a participant—let’s call him Chris—wanted to become more comfortable in the social aspects of his life: approaching women, interacting at work, and mingling at gatherings. His main concern was that he was afraid to be himself, to express emotions or get vulnerable. He had built up so much fear and anxiety surrounding the ideal of being interactive, that the challenges he was presenting himself with were massive . . . the equivalent of, say, a 75-lb weight. Attempting to jump into a social situation you’re not ready for is the equivalent of lifting a 75-lb dumbbell with no training. When you go to the gym, all the free weights are stacked in a neat little weight-ascending row. Most people know exactly which ones they can handle, because they’ve been lifting them for years and years, gradually building up their strength and working from five pounds to fifty pounds. Imagine you’d never worked out a day in your life: would you walk right up to the 75-lb dumbbell and start trying to throw it around willy-nilly? NO! I’m going to ask that woman out! I’m going to tell this amazing joke in front of everyone at the party. I’m going to knock their socks off in the executive meeting today! He’s thinking he’s going to jump into the deep end as a non-swimmer, and once he gets the opportunity, he freezes like a four-year-old at the edge of the high-dive and does none of it. And it’s not his fault—he’s just reaching too far, too fast. What I suggested to Chris during this event was that he try the five-pound weight instead. What does this mean? Let’s say you like a woman and imagine creating an extraordinary relationship with her: rather than asking for a dinner date right off the bat (75-lb weight), why not start by saying “Hi” and paying her a nice compliment (5-lb weight). Does this seem to easy? Good—that’s the point. Now, you might be sitting there considering your five-pound weight equivalent and thinking to yourself, Man, that sounds pointless, though. And that’s exactly what Chris said. Why do we prefer the 75-lb weight? This mindset is so typical because it keeps us safe. We tell ourselves we don’t have time for silly little five-pound weights, but subconsciously we know we’ll never lift the 75-lb weight, so we end up doing nothing and never challenging ourselves at all. The point here is to choose the easy challenge first and build your way up to the master challenge. If something seems like it’s not going to challenge you, then it should be no problem to go out into the world and prove it. Once you’ve lifted the five-pound weight, move up to the ten-pounder; if that’s too heavy, go back and work on the five-pounder until you’ve built up a little strength. This isn’t rocket science . . . but it’s difficult for other reasons—it forces you to take action. That’s what makes it so scary for most people. By removing the obstacle (the weight we couldn’t lift even if we wanted to), we force forward movement . . . and that’s terrifying. So, let’s go back to Chris. What we did in the live event was to whittle down the challenge until it was a true five-pounder for him: a superficial compliment about a woman’s accessory or piece of clothing. He went out into the world and lifted that weight, and you know what happened? He came back feeling victorious. He felt like he’d accomplished something for the first time in a long time. When we start with the 75-pound weight, we sabotage ourselves. You can get there—of course you can! But to imagine that you’ll get there instantly without lifting the smaller weights first is ludicrous. You wouldn’t try to do it in the gym, and you shouldn’t try to do it in your emotional life either. What ended up happening to Chris? He absolutely owned the rest of the event. He became one of the most social participants and even ended up leaving with a bunch of new contacts to hang out with in the real world. You can lift the 75-pound weight. Someday, you might even lift a 150-pound weight. But take the pressure off in the beginning and start with something that won’t take your arm off on the first set. 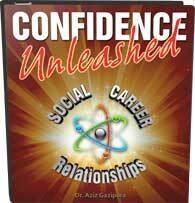 You’ll be on your way to increased social confidence in no time! What’s your 75-pound weight? What could you do to diminish that extra pressure so that it feels more like a five-pounder? What bold actions can you take to jump start your move into expert-weight territory? Please leave your comments below, and as always, I invite you to subscribe so that you can keep up with new content as it’s being released.